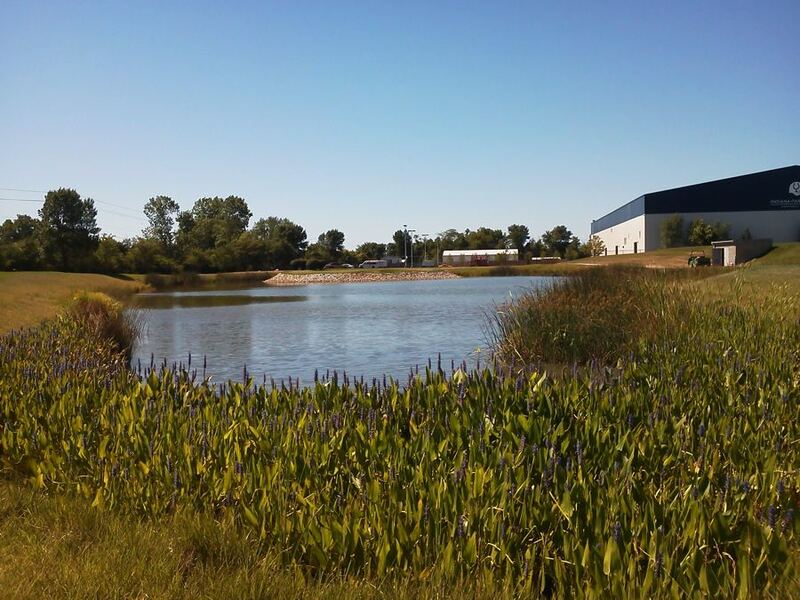 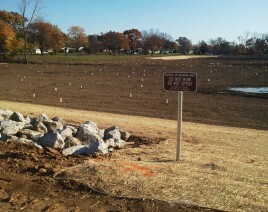 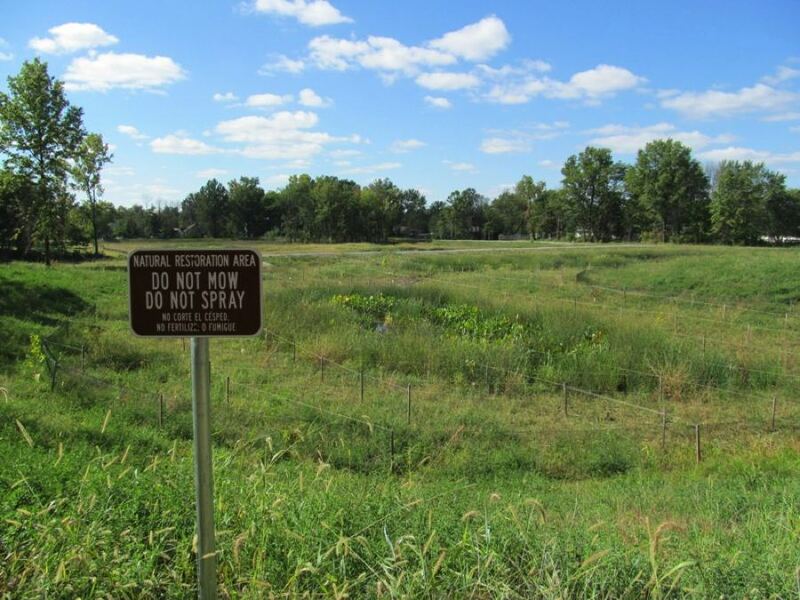 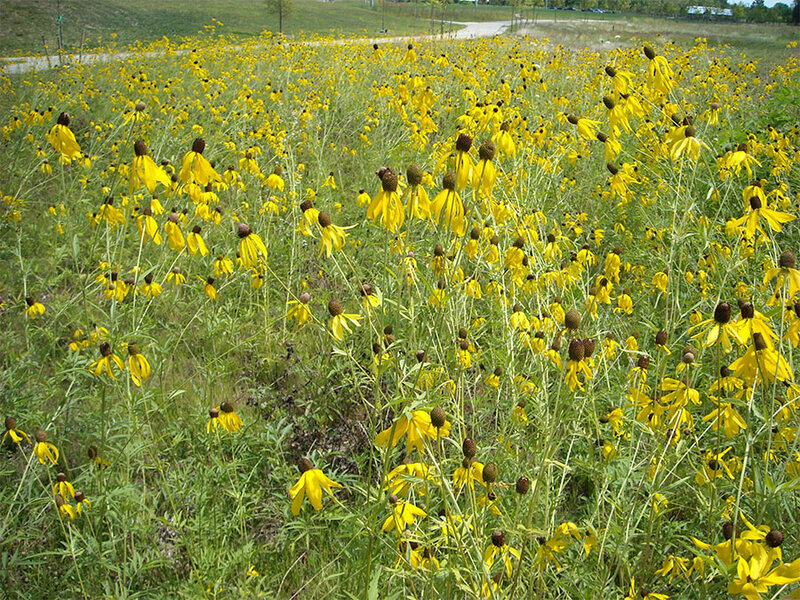 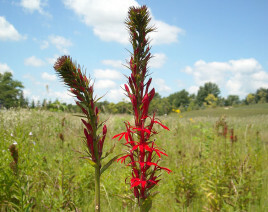 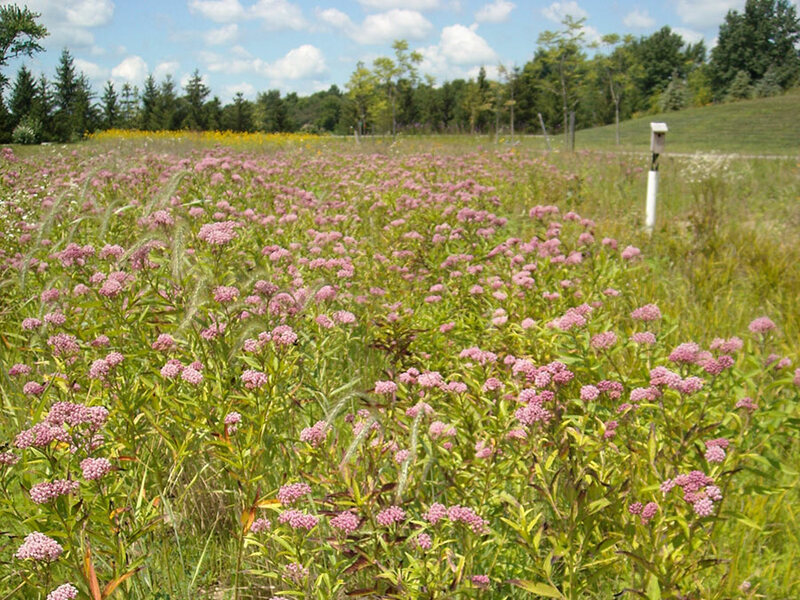 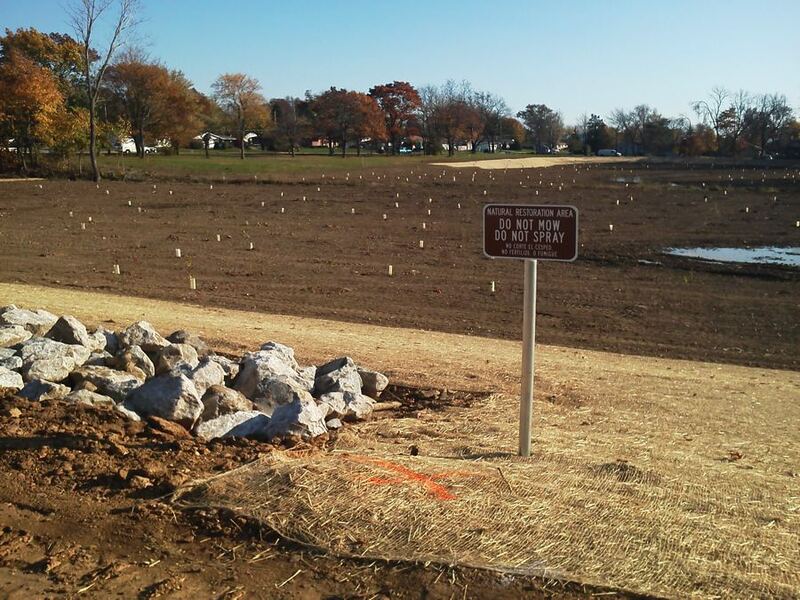 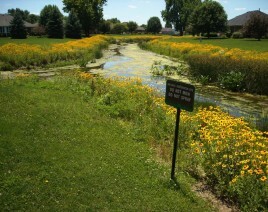 The Durkees Run Stormwater Park is located on property purchased by the City of Lafayette from the Lafayette School Corporation directly adjacent to Lafayette Jefferson High School. 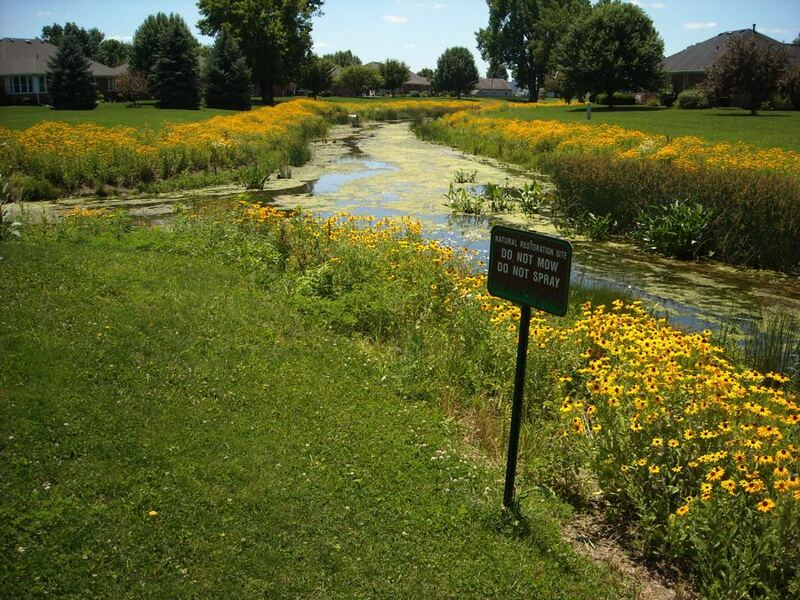 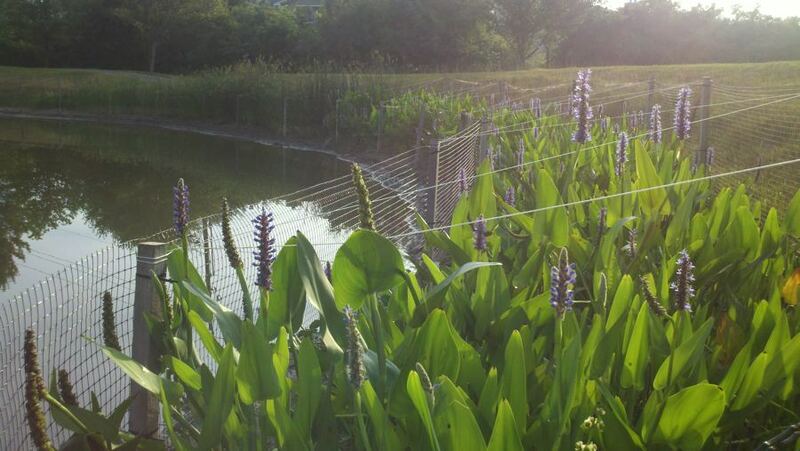 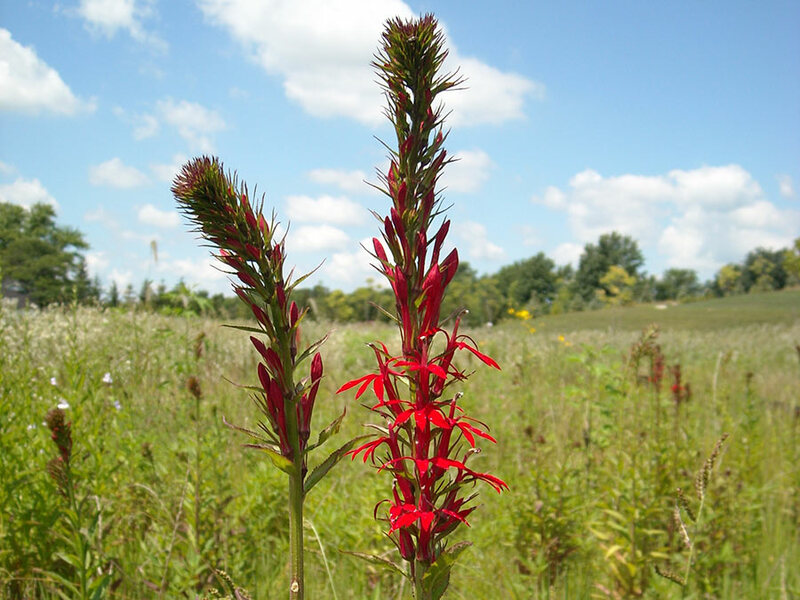 While the project’s primary function was to manage the local watershed which is approximately 10% of the overall Durkees Run Interceptor area, additional opportunities for public outreach and education were clear for both the high school and the public at large. 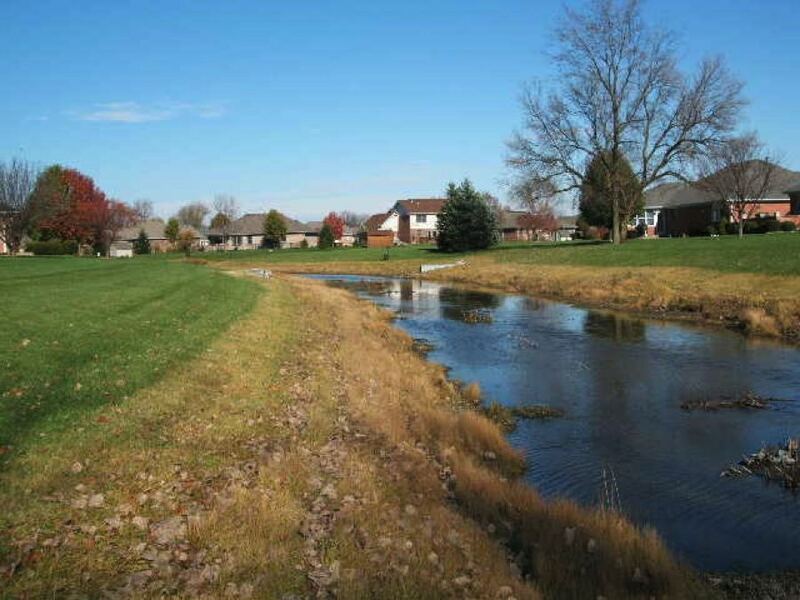 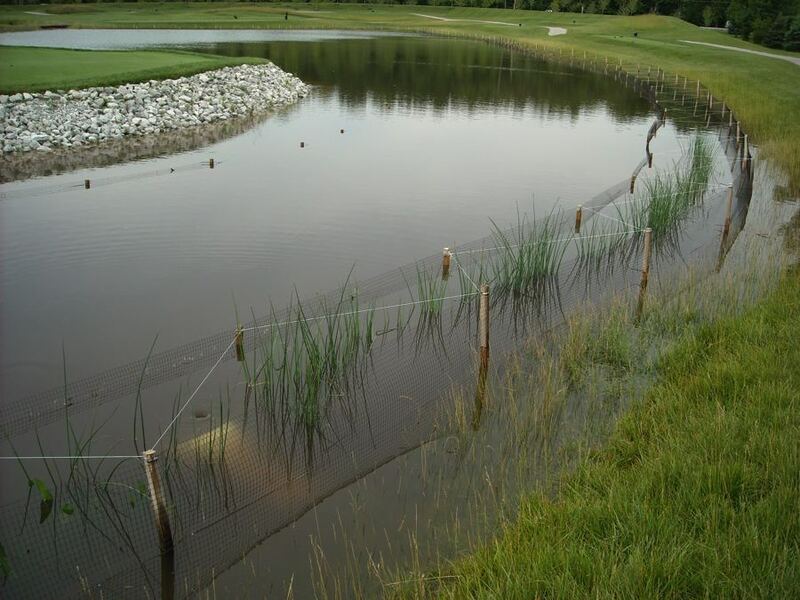 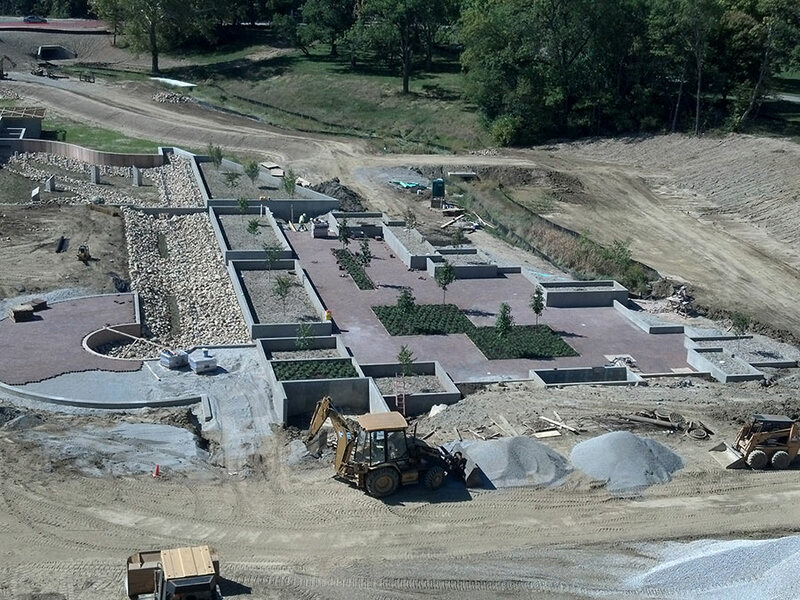 Williams Creek designed the Stormwater Park to incorporate educational features pertaining to capturing, treating, infiltrating, and conveying stormwater. 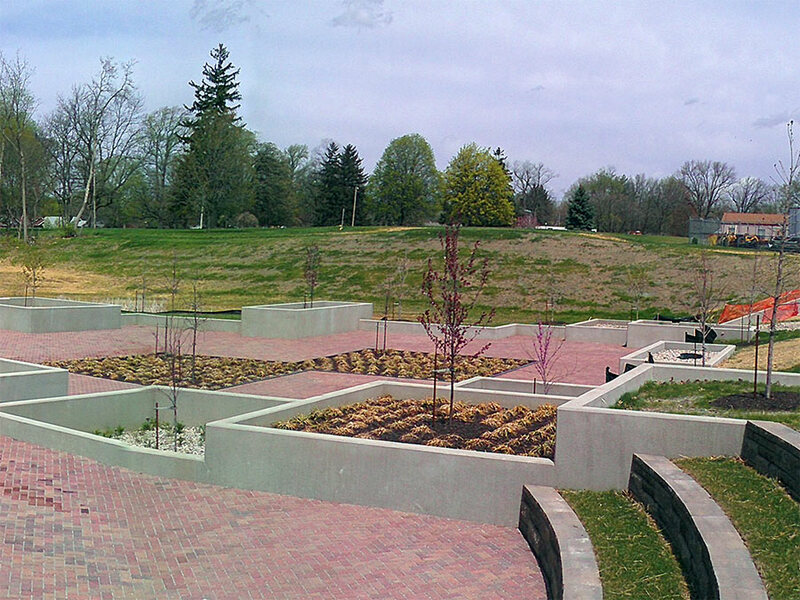 The Stormwater Park includes minimal sewer separation techniques, such as stormwater diversion prior to entering the combined collection system, in order to create a heavily landscaped Green Infrastructure (GI) system in a centralized setting allowing public interaction. 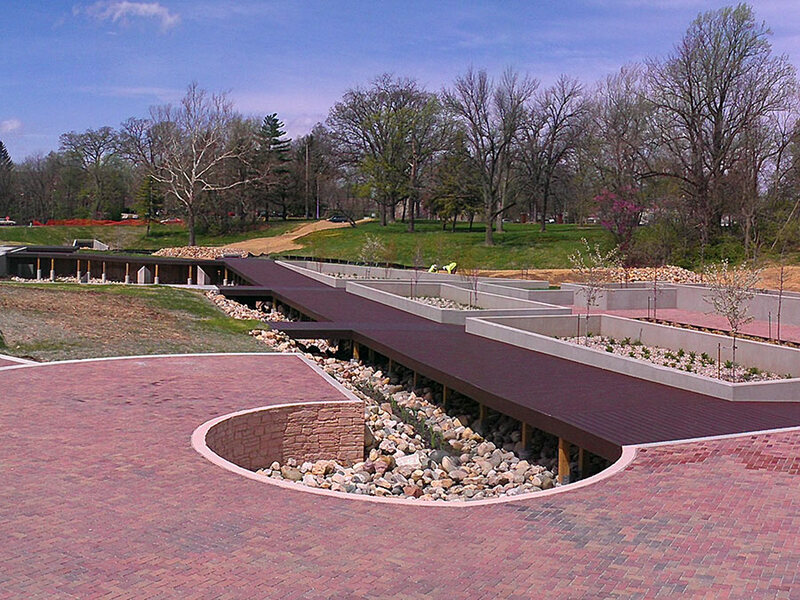 The park included interactive watershed and stormwater management features in both an outdoor classroom amphitheater setting, ADA accessible boardwalks throughout, and vignettes with both educational signage and fabricated landscape features for individuals or small groups.